So of course we turned to our bespoke made-to-measure designer Lyn Ashworth. Clare chose a silk chiffon bridal dress in a silver gold colour. The material is amazing and it has such depth – the dress can look gold or silver depending on the light. We teamed this with an Ellis Bridals lace bolero. We customised the bolero by ordering extra material and our talented seamstress, Dala, removed the ¾ sleeves and added bespoke long sleeves for Clare. Absolute perfection! 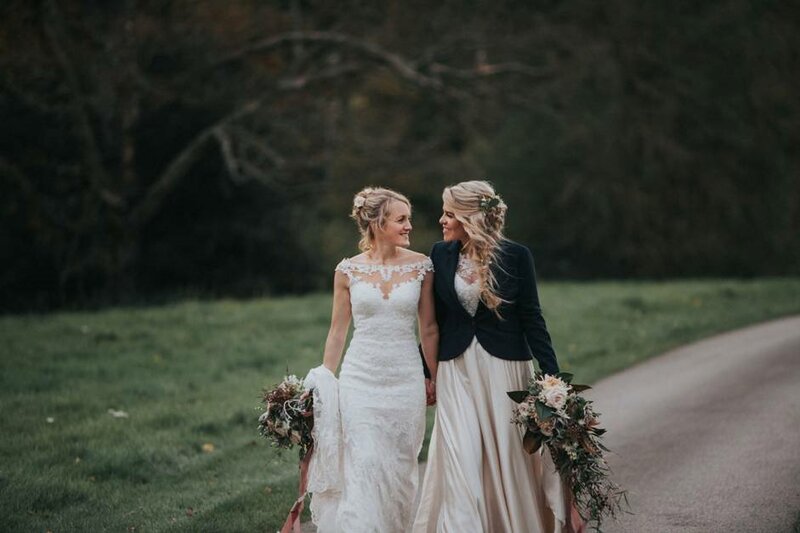 Sam and Kim got married at Wasing Park, Berkshire and these wonderful images were captured by Studio Rouge. Their wedding was recently featured across 3 pages in You and Your Wedding Magazine. Hope you are both well. 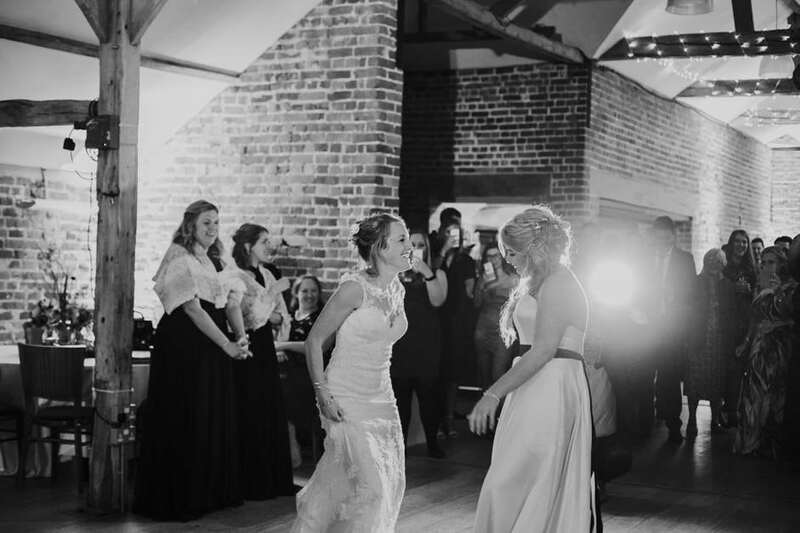 Kim and I have just got back from our honeymoon and I wanted to touch base to say thank you again for helping me to find my dress, fit my dress and make my bridal dreams come true!!! You both are truly amazing! Thank you. The wedding day was the best day of my life – the sun shone and it went without a glitch. We both feel truly blessed and in love! We are still on cloud 9. Kim loved the dress and thought I looked amazing! So all round a win. 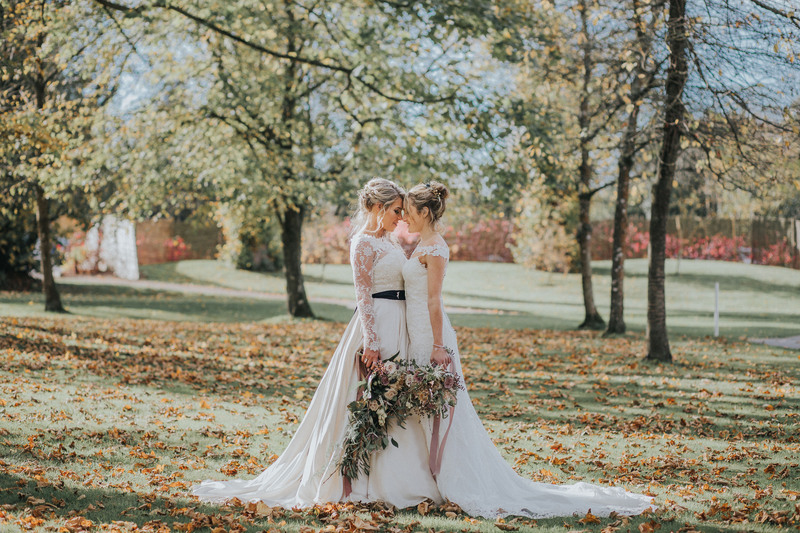 Two Brides, Two Dresses, Too Much Pretty! Get in touch to discuss how we can help you find your perfect wedding dress. We’d love to hear from you.